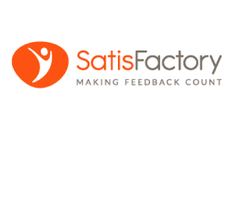 ﻿Satisfactory provides companies with a software as a service (SaaS) called Sharing-Data that offers the ability to manage and improve customers’ experience. Satisfactory was set up to assist companies with the gathering and management of opinions. The solution offers its clients a web-based feedback management tool.